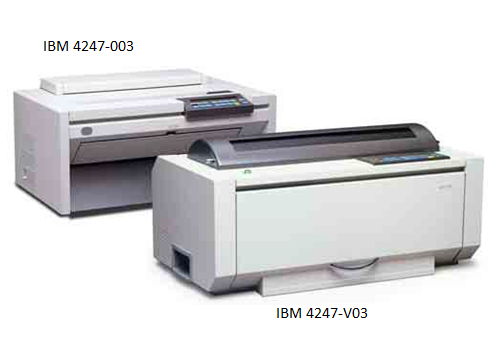 The IBM 4230 Impact Matrix Printer family offers high speed, exceptional reliability and rugged durability that make it the right choice for the most demanding print environments and applications. With print speeds of up to 600 characters per second (cps), depending on the model, and superb reliability, the IBM 4230 Printers outperform other impact printers. With its auto-forms load, innovative forms handling features, customizable operator panel and menu selections, IBM 4230 printers will improve productivity and virtually eliminate user frustration, paper jamming and costly paper loss. The customizable operator panel option allows you to easily lock out specific buttons or make them active again depending on your specific environment. This option can be preconfigured prior to the shipment of your printer. The IBM 4230 offers robust benefits and productivity features in a small package. For example, custom setup profiles allow users to store and retrieve as many as four different menus of printer setup values. This means users can switch instantly from one application to another, thereby improving user productivity and eliminating adjustment errors. 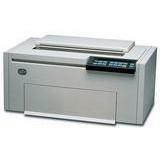 In addition, the IBM 4230 prints a wide range of applications by offering four print speeds and quality modes. The fast draft quality provides high speed for large print jobs. The near letter quality (NLQ) mode provides clean, crisp correspondence for word processing applications. Full all-points-addressable graphics capability exists for applications such as bar codes, bar charts and pie charts, scanned logos, forms designs and CAD/CAM drawings. At only 53 dBA, the IBM 4230 is quieter than many laser printers, making it suitable for virtually any business environment. And with its small footprint, the IBM 4230 can be placed wherever a need for printing exists. 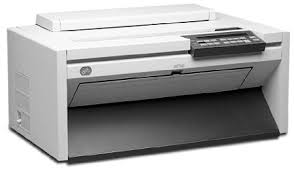 The printer offers either a coaxial, twinaxial, coaxial/ASCII or twinaxial/ASCII attachment, maximizing flexibility while providing a wide range of printer placement options. The IBM 4230 is well-suited to serve as either a high-speed office printer; a heavy-duty primary printer for small systems and LAN installations; or a workstation printer for larger systems and LANs. The ability to use cut-sheet paper allows full advantage of NLQ printing on letter- head paper for business correspondence applications. The automatic forms- thickness adjustment feature saves users from having to manually adjust the printhead gap and ensures consistent, high-quality forms printing and improved printhead reliability. Additionally, interchangeable paper feed modules permit the IBM 4230 printer to be easily adapted to a variety of different forms applications, including preprinted multi-part forms, labels, cardstock, checks and mailer forms.